This weeks guest preferred to remain somewhat anonymous, although his name is Rob – others know him as RG, and he’s a part of Discovery Trading Group. Rob is an active futures traders and is what most people would call a pure scalper, but he refers to himself as a “street level gambler with an appetite for risk”. Either way, he is very short-term and often just trading for a couple ticks at a time. So that’s one side of what he does, the other side, Rob is also involved in a quantitative research firm which trades a whole range of strategies, over various timeframes, in many different markets. 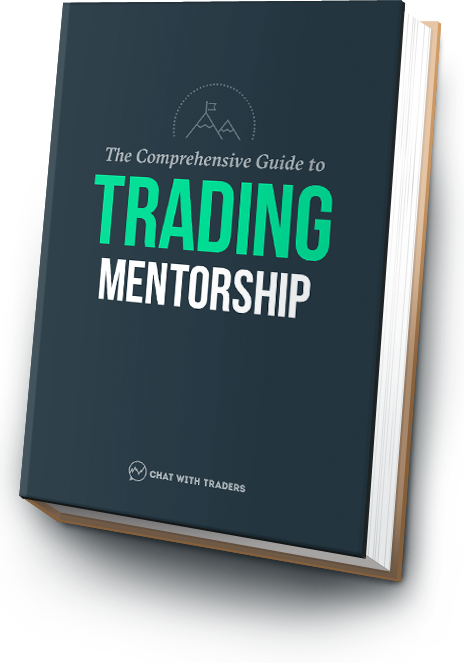 Over the next 60 minutes; you’ll hear about Rob’s early years of trading during the 80’s, and how he’s developed into the trader he is today. Rob also drives home the importance of risk management, shares a few gambling analogies, and talks about the benefit of interacting with other traders on a regular basis. How Rob got into trading after being inspired by the legendary trend followers. And why you must declare periodicity when talking about any given trend. Why many traders who came up in the 80’s (which Rob describes as a “secretive” era), were able to avoid the common retail traps that are common today. Rob shares how an attempt to reduce “key man risk” by automating his strategy resulted in initial failure, but also marked the beginning of a quant research firm. Reasons why Rob believes nothing is more important than risk management, why entry points are almost irrelevant, and why “gambling” isn’t such a dirty word. What traders on a retail level often don’t think about when it comes to managing their risk, and how long the average trader lasts (as reported from a clearing firm). How the act of vocalising trades and interacting with other active traders has made Rob 5X the trader he used to be, and why it’ll likely do the same for you! MarketDelta.com – The trading platform Rob mentioned, which is mostly used for footprint charts, order flow analysis, market profile and volume profile. Webinar Series – Rob also mentioned a three-part webinar series he did with MarketDelta, which is available on YouTube. DiscoveryTradingGroup.com – To learn more about Rob, DTG and what they believe to be true about trading you can visit their website here. @DiscoveryTrader – Rob and his crew are also on Twitter, follow their handle.